I'd rather he didn't spend on mediocre players and wait till January.Should be playing Kawaga he's got the potential ,look how he played for Japan recently..
Moyes was hired because he has a reputation for sourcing value/being a skinflint. He is merely doing what the owners require. Right, Arsenal have got all their Emiliano Viviano news out there and plugged it a lot via Twitter. Now time for Ozil? no no I'd sell Tom Cleverley first!! Crystal Palace chairman Steve Parrish says a deal for Nicklas Bendtner is very close, but Arsenal will only let him go if they get a replacement in. Moyes needs to search for a player of keans ability allowing carrick to feed the front players with pinpoint accurate passes . SAF said last year "we dont need to buy" we only lost scholes so why panic buy now? Manchester United news .... some reports in Spain claim United have left WITHOUT completing a deal for Ander Herrera. They say they would not pay the release clause. Athetlic Bilbao want 36 million euros up front. If Moyes is to buy someone now it is going to have to be someone special and worth every penny. Marouane Fellaini leaves the Everton training ground. Heading to Manchester? arsenal still quiet y? any news about ozil truly complete? Fellaini leaving Evertons training ground to join up with the Belgium squad. And Arsenal, West Brom and Newcastle have still not spent a penny in transfer fees. First heard of the Ozil deal last night. Can't believe it is still rumbling on. Hi Rob, news on any Arsenal striker signings Ba, Hernandez? Moyes is scared, and panic buying. He shouldn't blow too much on fellaini, he has be made to look good by a crap team. He's NO star!!! 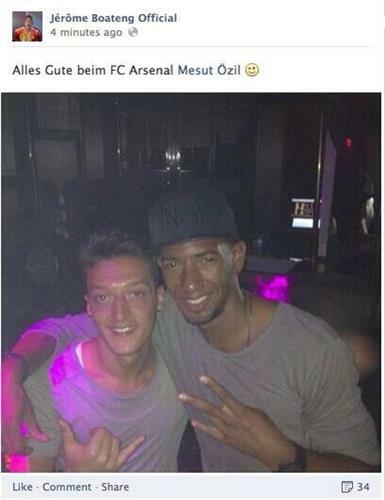 Surely Ba will be tempted by CL at Arsenal and playing with Ozil! Man United have spent TOO long dreaming about Ronaldo. Sir Alex would have had a contingency plan, and no doubt signed a great new youngster from somewhere!! Rumours were that Spurs offered Adebayor as a straight swap with Torres on loan. Chelsea quickly said no.